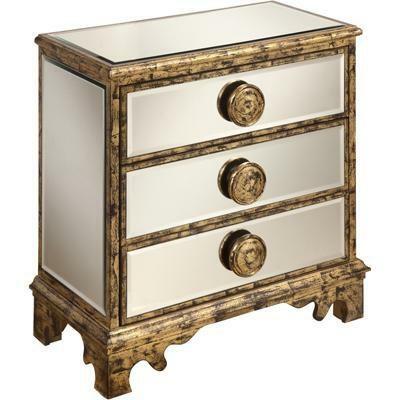 Dramatic and distinctive describes this mirrored chest. 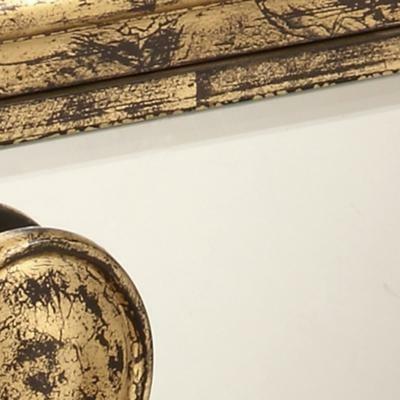 Mirrors are on the top, sides and the drawers, and are framed by distressed Aylor Antique Gold, as are the over-sized drawer pulls. The drawers also feature easy-to-open drawer glides. 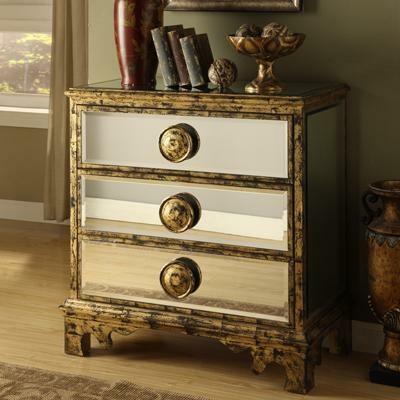 This chest will bring Hollywood glamour to any room.